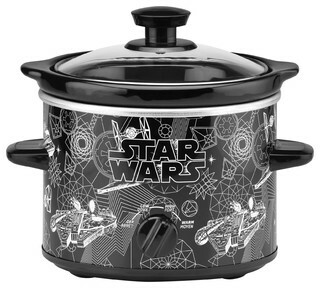 Star Wars Holiday Gift Guide | Mexican Appetizers and More! 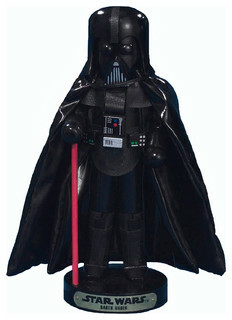 Great gift ideas for the Star Wars collector, fan or novelty enthusiast. 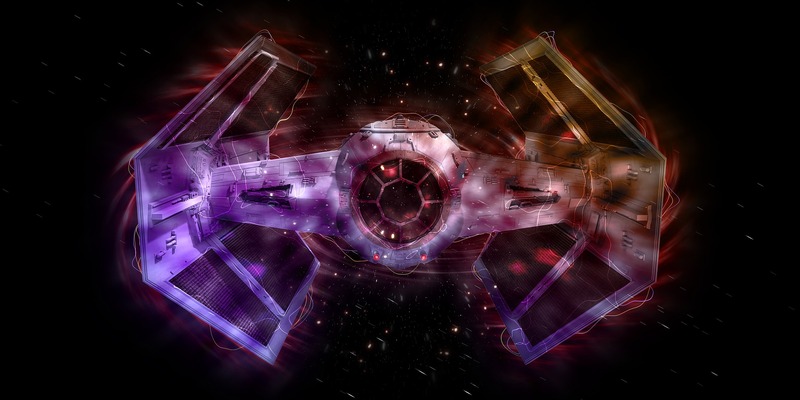 Have fun looking through this Star Wars Gift Guide and receive your gifts just in time! Happy Shopping! MAY THE FORCE BE WITH YOU! 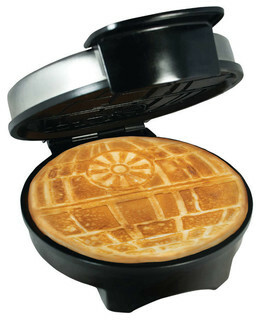 Death Star waffle maker, the ultimate collectible countertop appliance. 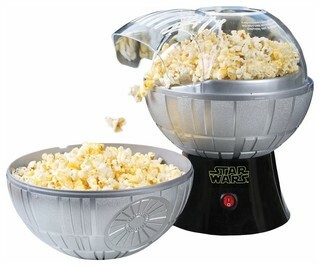 Perfect for Star Wars fans, the little ones or the kid in you. Gobble up a Death Star this holiday morning. 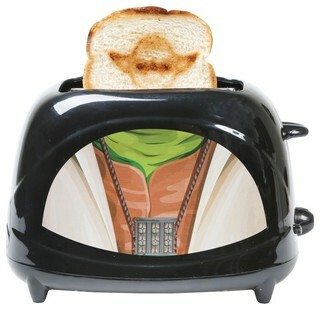 Darth Vader's chest plate toaster. 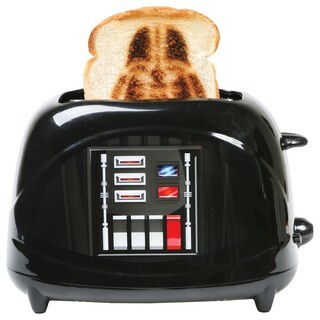 Toast pops up with Vader's iconic helmet right in the center. Excellent gift for the collector, novelty enthusiast or kiddos! 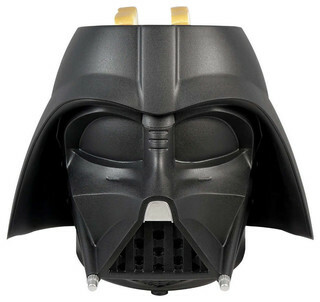 Be the first of your friends to display this Darth Vader Helmet Toaster, dispensing perfectly toasted bread with the Star Wars infamous logo! 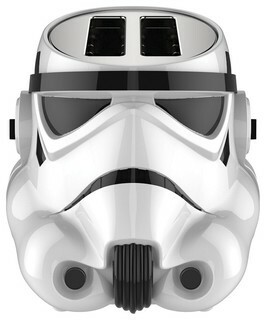 Imperial addition to your kitchen counter, toast is ejected with the Galactic Empire logo. Perfect for your little or adult Star Wars fan. Yoda's head "pops up" when your toast is ready. 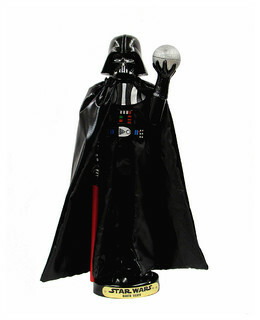 Perfect for the "little one" or the Star Wars Empire Collector. 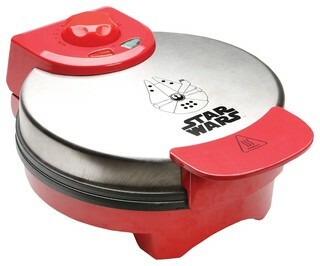 This nonstick waffle maker batter's up Han Solo's iconic spaceship. With five temperature settings for your preferred done-ness. Great addition for your Star Wars collector or surprise the little one/s with Han Solo's spaceship this holiday morning. Darth Vader's iconic weapon! Wield it to blend your favorite drink, whip up soups and sauces. You will love the soft touch grip. Make delicious hot air popcorn. 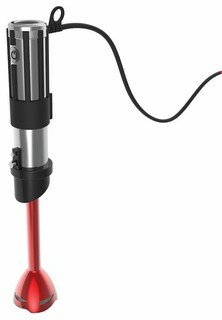 Perfect Star Wars Collectible for your Jedi, Sith, Storm Trooper or Rebel. 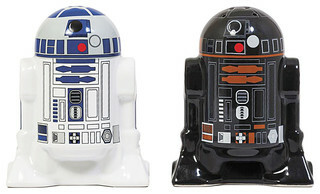 These are the most adorable salt, pepper shakers Tatooine has ever seen! Made out of ceramic with plastic grommet stoppers on the bottom for easy refilling. Officially licensed. Perfect gift for the chef or collector. This slow cooker is perfect for making delicious soups, tasty beans, creamy dips and much more. 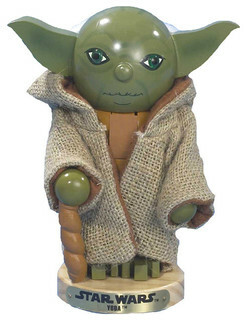 This adorable wooden Yoda is perfect for your Star Wars collection or perfect if you are a Nutcracker collector. Wooden iconic Darth Vader. Perfect for the Star Wars Collector or add to your nutcracker collection. Kurt Adler Stormtrooper in his signature white armor. 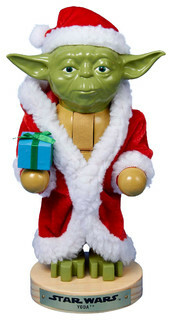 Kurt Adler Star Wars Yoda Holding Gift in Santa Robe Nutcracker, 9"
Jedi Master Yoda in all his festivities. Perfect for your Star Wars Yoda fan or for your own unique nutcracker collection. 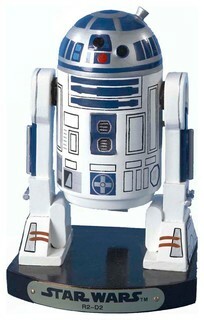 And of course we cannot forget Mr. R2D2 himself! Featured in his silver droid body with blue detailing. Boba Fett the bounty hunter featured in his green, orange and gray uniform. Perfect for Star Wars collectors and fans. Mr. Darth Vader himself in all his Sith Lord Glory! 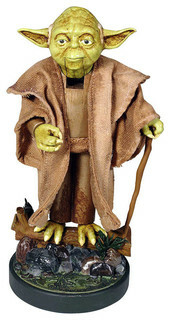 Beautiful solid wood and resin officially licensed Star Wars Yoda nutcracker. This Stormtrooper doesn't look so menacing anymore holding an ornamental ball! He looks quite adorable to me! Note: Gifts for the Cook or Mexican Kitchen, click Mexican Cookware and La Chamba Black Clay Cookware.